A “cash wedge” is what Daryl Diamond, financial planner, author, educator and respected financial professional on all-things retirement money management calls the income delivery process. Daryl Diamond should know a thing or two about the “cash wedge”, Daryl is largely responsible for the concept, a process dedicated to helping retirees reconcile their income needs to fund their lifestyle objectives securely. 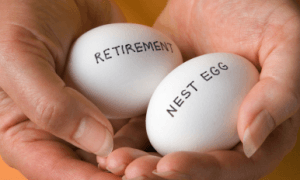 The way I see it, most retirees will need to withdraw capital from their investment portfolios and take advantage of government programs like the Canada Pension Plan (CPP) and Old Age Security (OAS) for retirement expenses to survive. For many retirees withdrawing from their capital should be a major concern for them: due to longevity risk, inflation risk and financial risk. This is where the “cash wedge” process can really help. You already know that investing in the stock and bond market can grow your portfolio during your asset accumulation years. In your withdrawal years however you need to be careful. When equities are up and down it makes a HUGE difference when you draw-down the investments in your portfolio. Because you’re always drawing income from the “cash wedge”, you’ve bought yourself time to weather stock market volatility. Daryl calls this “withdrawal math” and I like his concept. Year 1 – a small portion of your retirement portfolio is used for income withdrawals; money is allocated to a conservative, highly accessible investment such as a money market fund or savings account. This is the bucket where you draw your retirement income from. Years 2-3 – a portion of your retirement portfolio is allocated into a guaranteed short-term investment, such as a 1-2 year Guaranteed Investment Certificate (GIC), some bonds or some fixed-income funds. On maturity, these investments are used to replenish the retirement income bucket you’ll withdraw from (Year 1). Years 4+ – the rest of your portfolio is left to grow, as a diversified equity portfolio, providing growth for future years and to fund the early-year buckets. The “cash wedge” process is very sound and I will probably implement a derivative of this at some point. However, I think this strategy requires regular maintenance. Treat any income from our pensions like it is: fixed-income. 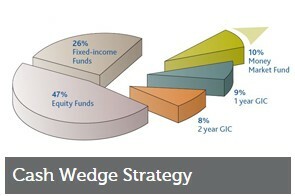 I will try to ensure this fixed-income allocation is about 30-40% of our portfolio. If we cannot meet this criterion I will use whatever portion of our investments to get this fixed-income allocation. It is my expectation that most of our fixed-income will pay for basic retirement expenses (all food, all shelter and all clothing). If not, we will have to a) work longer (to build our portfolio) or b) spend less in retirement or both. I intend to keep about one-year worth of retirement living expenses (about $50,000) in cash savings. 50% invested in 20-30 dividend-paying stocks from Canada and the U.S. I will use the dividend income generated from these investments for living expenses. I figure $500,000 invested in these stocks should generate about $20,000 or so in dividend income per year for us before taxes. 50% invested in a couple of low-cost, diversified, equity or dividend ETFs that invest in hundreds (or thousands) of stocks from around the world. Again, I figure about $500,000 invested in such ETFs will provide extra diversification. We will spend the distributions from these investments. We will keep the capital intact for a period of time, for long-term growth, until we decide to draw down the portfolio. The equity portions in our portfolio should provide a mixture of steady dividend income and distributions and some capital appreciation while the fixed-income portion should provide all basic retirement needs. You might be wondering about CPP and OAS? I figure any income from government programs is a bonus for us in our 60s. CPP and OAS money will be used as a hedge against major spikes in inflation. Conversely, we might drawdown our RRSPs sooner than later and defer CPP and OAS until later in life. Time will tell! 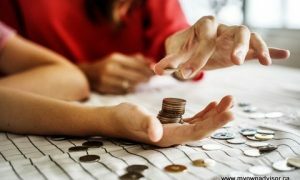 There are a number of retirement strategies to consider and I’m sure my approach to prepare for retirement will change. For now, using the “cash wedge” process as my starting point, my hope is to layer our income delivery process to cover basic living expenses and structure the rest of our portfolio for steady income and growth. What are your thoughts on the cash wedge? Will you use a similar strategy? Retirees – how are you managing your cash flow? 15 Responses to "Cash Wedge and Opening the Investment Taps"
I must be missing something with this idea. If you can have 25% or so of your portfolio in money markets and CDs earning a couple % and live off that then you have more then enough money to worry about needing income. e.g. To need $50,000 of income at 2% would be $2.5m. 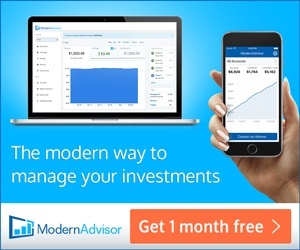 If that is 25% of your portfolio you have $10 million to live off of in retirement. Dont get me wrong I am a huge fan of income assets and strongly believe that a person should have income in the portfolio vs selling assets to live off of. However I don’t think living off interest of that low a category of yield would work out. Your idea is what I’m trying to achieve; live off investment income and not necessarily draw-down capital to generate income . I used a similar plan of action for my mother in law. I made sure she had enough cash in high interest saving account 1.05% for 1.5 years and the rest I have in a monthly dividend paying portfolio about 4% to supplement her income until her full pension and old age security kick in. I hope she can retain her capital without drawing it down before she dies but it is gonna be tight. All depends on her expenses in the future. Great to hear from you and understand how this approach might be employed for others. I sort of did this with my kids RESPs, in that I withdrew the money in Bonds and Money Markets and then wait to withdraw from equity based funds (but this was 2008 and the market had gone in the tank). Good to hear how this approach might work for RESPs as well, given those accounts have a shelf-life. I also prefer to have investment income higher than expenses! This is where I want to be, it’s a long journey and I need to be patient Wisp. Yup same, luckily I’v still got plenty of time being only 25 🙂 Or maybe enough div income to retire + pay for a trip every quarter, now thats a dividend! Really happy to have found a Canadian based financial blog. 1. You talk about not having all our eggs in one countries basket (my words not yours but I hope you get the idea) and while I’ve heard about that before, I’ve also read a lot of people saying that Canada is stable (more so than the USA) so I’m wondering why you’re going to invest south of the border. 2. I’ve held Vanguard shares (VGK) since 2009. While they’re up, the tax “hassles” of paying tax (in the USA) and claiming again in Canada at the highest tax bracket just isn’t worth it to me. Have you thought about this? I have a need for ~$5,000USD cash every year so instead of buying it (and paying the exchange rate), I’m going to open a USD Bank Account (in Canada) and spend that money. Any interest earned will be minimal and my money won’t (potentially) grow but the hassle factor x 2 (buying cash and taxes) will outweigh any potential money earned. Always great to hear from readers Sarah. Answer: I do so because while I’d like to think I could predict the future I believe holding U.S. stocks and U.S. ETFs is far better diversification than just investing in Canada. My long-term goal is to own about 30% of my personal portfolio in the U.S. Another 30% in international markets and/or a combination of U.S. multinationals that earn a good portion of their profits from around the world (e.g., KO), and another 40% invested in Canada. I will be 100% equities for the foreseeable future. VGK is an all-Europe fund from what I know. Do you have the opportunity to invest in VGK in a tax-deferred or tax-free account? Based on my own experiences such U.S.-listed funds are best served/held in U.S. $$ RRSP. You’ll avoid withholding taxes there. 3. I have a need for ~$5,000USD cash every year so instead of buying it (and paying the exchange rate), I’m going to open a USD Bank Account (in Canada) and spend that money. Any interest earned will be minimal and my money won’t (potentially) grow but the hassle factor x 2 (buying cash and taxes) will outweigh any potential money earned. I would argue if you’re willing to give up some capital gains, holding U.S. dividend ETFs like VYM and HDV will churn out more income than some other U.S. ETFs. Let the U.S. ETFs you own pay distributions every quarter and spend the distributions as you wish in US $$. Many investors I know have opened a USD $$ bank account in Canada and keep a “float” in there of about $5,000-$10,000 for international trips. They get the U.S. money into that account by withdrawing RRSP funds each year and winding that account down over time. Your cash wedge should be a secured line of credit on your home. Make sure you set it up before you retire so you can have access to the equity in your home. You can use this to weather any dips in the market and replenish it when the market comes back. If you have a Manulife One account from Manulife Bank you can access up to 80% of the value of your home. This could provide you with more than two years of yearly expenses and can be an emergency back up for health care, travel surprises, or a market drop. The last thing you do before you retire is to secure this line of credit so you can qualify using your employment income. A reverse mortgage is usually 50% and is harder to qualify for when you are retired. 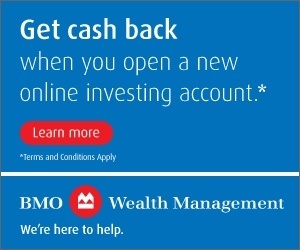 Put your cash in products that provide better returns as you can access this line of credit at any time. The question is how big of a cheque can you write tomorrow if a need arises.